When the dog’s got to go, the dog’s got to go! 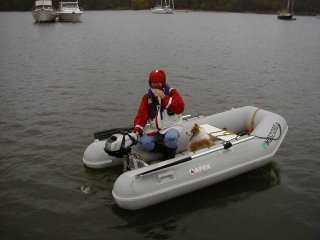 For those cruising with dogs, additional criteria is used to survey potential anchorages. We look for ease of getting ashore, condition of the landing zone (and I don’t mean the one used by the dingy) as well as the possibility of incurring the wrath of any unreasonable, dog-hating landowner. Therefore, as a service to CBSA members with dog crew members, we are publishing the following list of spots that have worked for us. Anyone wishing to contribute should add a comment to this page. When the dog has to go, the dog has to go!!! Corrotoman River Eastern Branch opposite Bell’s Creek Long, clear sandy beach. No houses. Magothy River Broad Creek There’s a small island just off the marina with a sandy beach. Magothy River Behind Gibson Island Another nice sandy beach with no houses nearby. Swan Creek Community Dock or Osprey Point Marina The area around the dock is being developed but the marina’s floating docks make it easy to get in and out of the dingy. Severn River Hopkins Creek Sandy spit near the mouth of the Creek. South River Harness Creek Use the Quiet River Park dock. Rhode River Flat Islande Good beach, plenty of room to walk. Wye River Shaw Bay Sandy beach. Wye River Granary Creek Public park at the end. Good area to walk as well. Miles River Tilghman Creek Public dock at end of Creek. Choptank River San Domingo Creek Public dock which is the “back door” to St. Michaels. Tred Avon The Strand, Oxford Nice beach and nice walking around Oxford. Little Choptank River Hudson Creek Sandy beach very scenic and quiet.